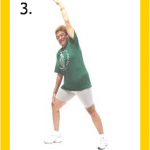 Straighten Up America Day is October 16th part 2- Exercise Program. 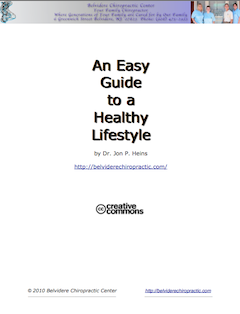 Straighten Up is intended to be incorporated in a healthy lifestyle of prudent active living. Consistent healthy choices and healthful habits form the bedrock of a healthy life. Our hope is that you make Straighten Up a daily part of a vibrant empowering lifestyle for the whole family. This version of Straighten Up is designed for healthy children and adults to practice daily, like brushing your teeth. 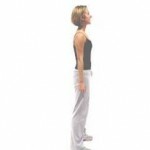 Straighten Up is an enjoyable very short spinal health program designed to help you feel and look your best. Stand tall in confident “Inner Winner” posture. Breathe calmly, slowly and deeply from your stomach region. Move smoothly without jerking or bouncing. Check with your chiropractor or other healthcare practitioner before starting Straighten Up to make sure the activities are appropriate for your specific needs. If you experience sharp or recurring pain at any time, STOP and report to your doctor. You may need to modify the exercises. A. Straighten up. Stand tall with a confident “inner winner” posture (ears/shoulders/hips/ knees/ankles in an approximately straight line). B. Pull your belly button in toward your spine. In inner winner posture, with your arms out to the sides and feet spread in the star position, pull your belly button in toward your spine. Facing forward, place one hand in the air with the other at your side. Breathe in as you slowly stretch one arm overhead, while slowly bending your entire spine to the opposite side and sliding the other hand down your thigh for stability. Relax at the end of the stretch, breathing out and in again and then switch to the other side. Perform the movement twice to each side. Easy does it. Enjoy the stretch. Remain in the star position with belly button drawn inward. Gently turn your head to look at one hand and slowly twist your entire spine to watch your hand as it goes behind you. Relaxing in this position breathe out and in. Repeat movement to the opposite side. 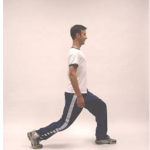 Perform the movement slowly twice to each side. Enjoy the slow gentle stretch. Begin in the star position with your head held high and your belly button drawn in toward your spine. 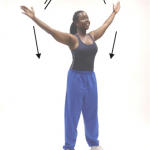 After raising your arms in “hands up” position, bring your left elbow across your torso toward your right knee. Repeat the movement using your right elbow and left knee. Remain upright as you continue to alternate sides for 15 seconds. Breathe freely. Enjoy. Breathe deeply and calmly, relaxing your stomach region. Let your head hang loosely forward and gently roll from one side to the other. Using your fingers, slowly massage the area just below the back of your head. Move down to the base of your neck. 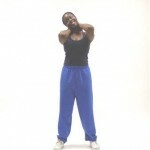 Then relax your shoulders and slowly roll them backwards and forwards. Enjoy for 15 seconds. In inner winner posture pull your belly button in toward your spine. To begin the Eagle, bring your arms out to the sides and gently draw your shoulder blades together. Breathe in as you slowly raise your arms, touching your hands together above your head. Slowly lower your arms to your sides as you breathe out. Perform movement 3 times. 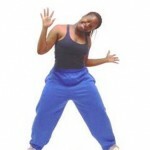 Next make small backward circles with your hands and arms, swaying from side to side in the “Hummingbird”. Enjoy for 10 seconds. 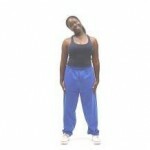 Place your hands behind your head and gently draw your elbows backward. Slowly and gently press your head backward and resist with your hands for a count of two and release. Breathe freely. Perform 3 times. Gently massage the back of your neck and head as you relax your stomach region with slow, easy breathing. A. Stand in the inner winner position with your head held high. Contract your stomach muscles to pull your belly button in toward your spine. B. Maintaining this posture, take a step forward as if on a tight rope. Make sure your knee is over your ankle and not over your toes. Allow the heel of your back foot to lift. Balance in this position for 20 seconds. Repeat on the opposite side. When finished shake your legs and feet to relax them. 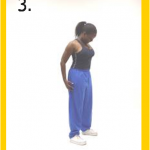 Standing tall in inner winner posture with your feet wider than shoulders, pull your belly button toward your spine. Then gently rotate your trunk from side to side. Easy does it. 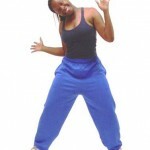 Let your arms flop loosely, as you shift your weight from knee to knee. Swing gently from side to side. Breath calmly and deeply. Enjoy the movement for 15 seconds. Stand in the star position, keeping your stance wide. Gently draw your belly button in toward your spine. Turn your foot outward as you shift your weight to one side. Feel the groin area gently stretching. 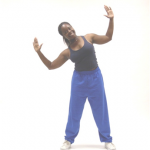 Place your knee over ankle and elbow behind knee as you extend your arm, torso and ribs. Easy does it. Shake limbs loosely for 15 seconds. This one is pure fun. We are done! You can also download the PDF Printable Cartoon Version for Children HERE. 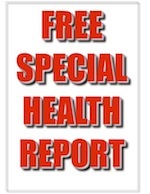 Be sure to check back for Next week’s Article: Straighten Up America Part part 3- Healthy Lifestyle Recommendations . . . or keep yourself up to date with what is going on at Belvidere Chiropractic Center by simply subscribing to Belvidere Chiropractic’s RSS Feed or to our Email Updates. You can also follow us on Facebook, Twitter, or LinkedIN. Anxiety levels also improved as a result of the exercise program, and the improvement persisted 6 months after the program was completed.